If you’re following me on Instagram you know that I am a museum geek and visit museums frequently – not just when I travel. 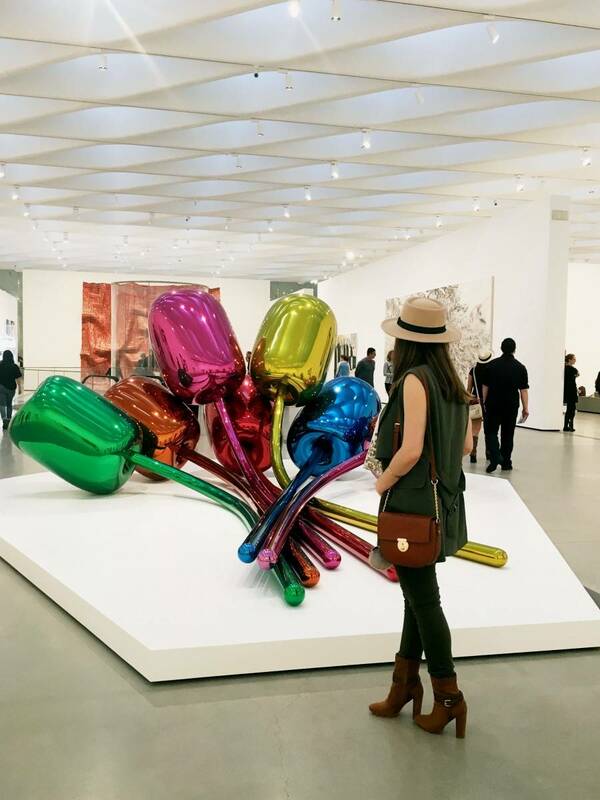 The Broad Museum is one of the most talked about museums since its opening last year, not only for its artwork but also for its cool architecture which cost $140M. Today I’m sharing the Broad Museum 10 must see artwork (in my opinion) for those of you who didn’t have a chance to visit the Broad yet. 1. Robert Therrien’s untitled piece (1993) greets you at the entrance of the museum and it’s impossible to miss. It’s an untitled piece but I call it ‘dishes’ 🙂 I’ve never a big fan of doing the dishes but I must say I love posing with this artwork every time I visit the Broad. 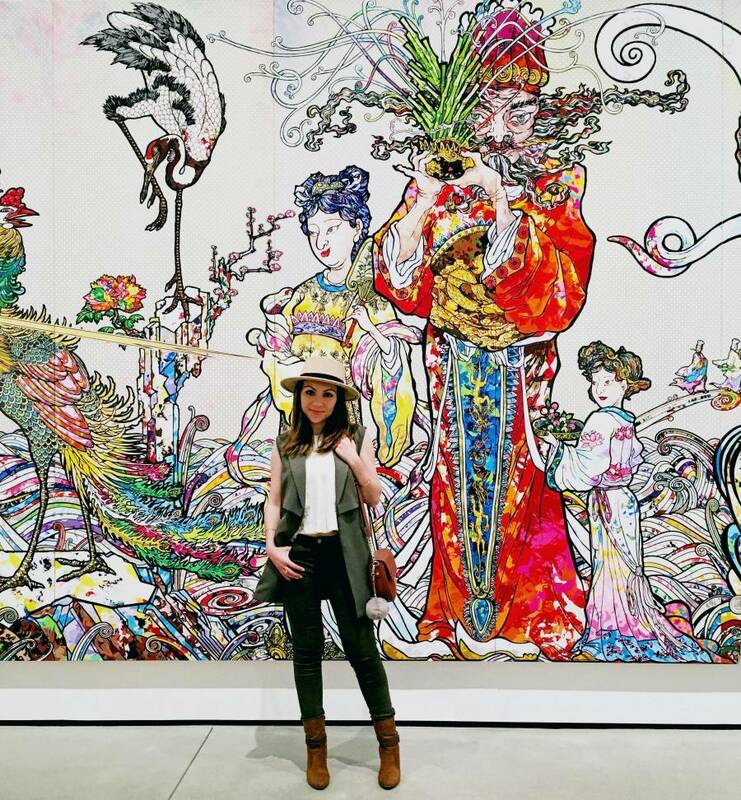 TIP: Lighting is PERFECT at this exact location of the museum so don’t miss the photo opp! 2. 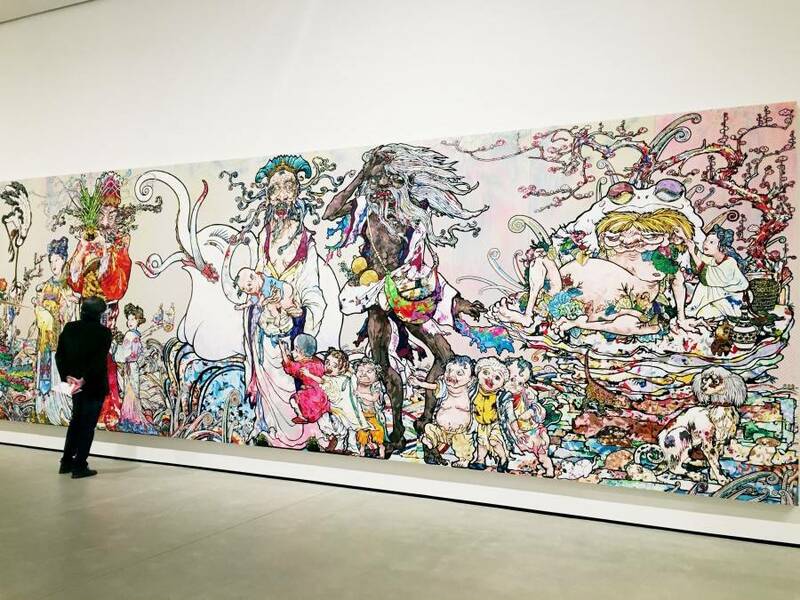 Takashi Murakami’s “In the Land of the Dead, Stepping on the Tail of a Rainbow”: This massive eighty-two-foot-long painting reflects on the 2011 Tōhoku earthquake and subsequent tsunami in Japan. Murakami discovered that roughly 150 years earlier, after the great Ansei Edo earthquake of 1855, artist Kano Kazunobu had created a large grouping of monumental scrolls conjuring the five hundred arhats, the traditional stewards of Buddha’s teaching. Murakami, through the post–World War II lens of Japan’s pervasive pop culture, again revived the arhats. In the Land of the Dead, Stepping on the Tail of a Rainbow portrays a cartoonish, spiritual landscape, awash in an enormous tsunami of churning water. The work is a specific reference to a Japanese history of natural disasters and an attempt to place suffering into a visual language. – Info from The Broad Museum’s website. 4. 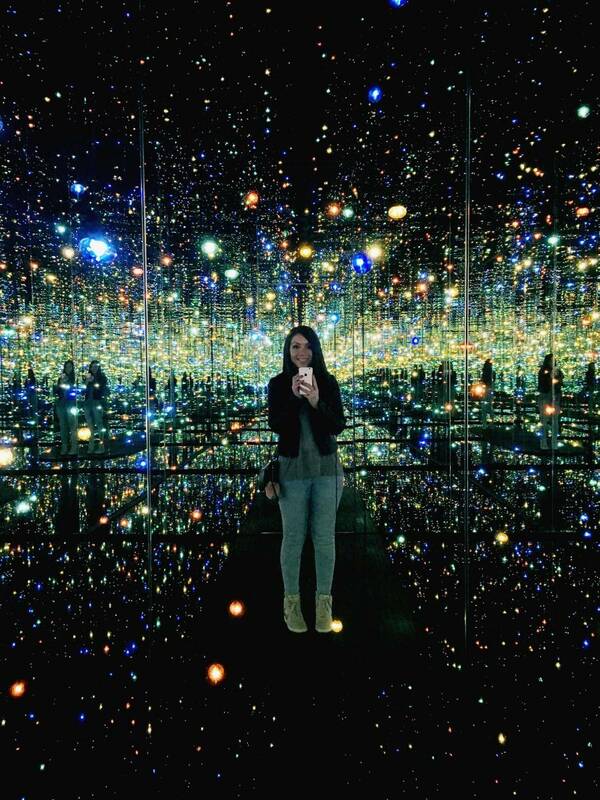 Ragnar Kjartansson’s “The Visitors”: If Yayoi Kusama’s Infinity Room weren’t magical, this piece would have been my #1 favorite art installation ever. You enter a room that features nine musicians repeating the same lyrics in various rooms in a romantic mansion in upstate New York. Each performer uses different instruments and plays the lyrics as a camera pans through the house in one long, extremely impressive sixty-four-minute take. The screens in the gallery project all at once, resulting in a collective experience for the viewer. Together, the videos create what critic Hilarie M. Sheets calls an “entirely absorbing ensemble piece that was alternately tragic and joyful, meditative and clamorous, and that swelled in feeling from melancholic fugue to redemptive gospel choir.” Info from The Broad.org. Photos by me and Tuyaymya Osuna, edited by Brianna Olsen.